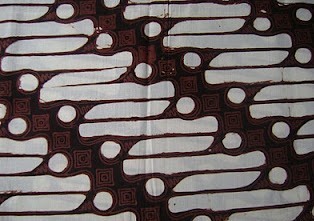 Parang rusak or in English literally defective big knife, is a traditional batik pattern from Special district of Yogyakarta. 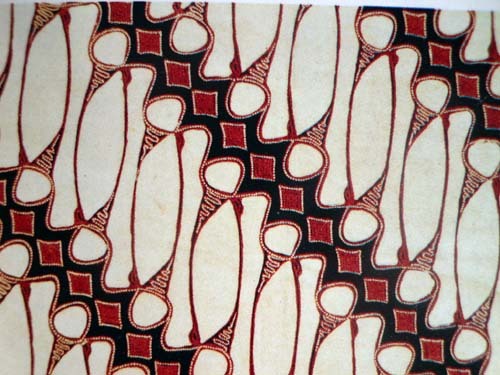 It is visualized as many defective parang (big knife) with diagonally format Indonesian batik patterns and designs, which refers to the attitude of the human perspective on the environmental landscape and life, expressed in forms stellar. Like plants, mountains, animals, rice fields, rivers, seas and icons of other ancient life. 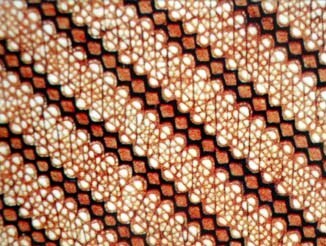 Believed, every pattern and designs that were created through behavior creator. 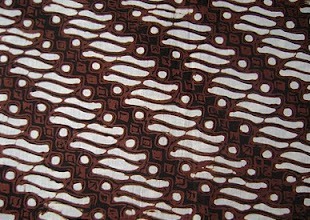 Very popular form of ancient patterns are parang rusak, the story of creation is often debated. Citing Batik book “The Effect of Time and the Environment” (“Pengaruh Zaman dan Lingkungan” by H. Santosa Doellah / Danar hadi 2002) there is a call pattern broken machete appears the days of Raden Panji, the hero and Jenggala kingdom of Kediri, East Java, in the 11th century. 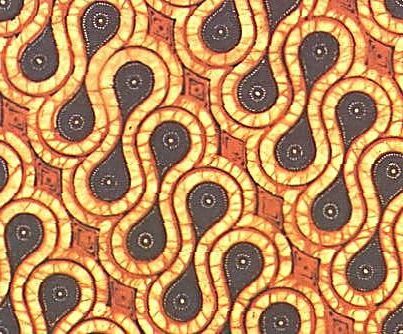 Others believe, this design was created by Sultan Agung of Mataram (1613-1645) after a meditation on the South coast of Java. That said, inspiration comes from the phenomenon of large waves that break up rock and ruin. In the Java language, the term with a machete near the reef. Parang broken means broken or damaged reefs. Anyway, in Javanese language up to today, i just know parang means big traditional knife that illustrate courage. 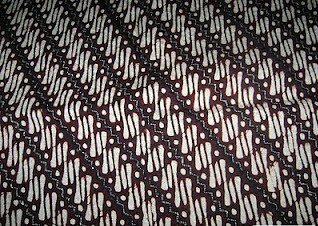 There are some variation of parang rusak patterns, such as parang rusak barong, parang kusuma, parang klitik, parang klitik mentik, etc. 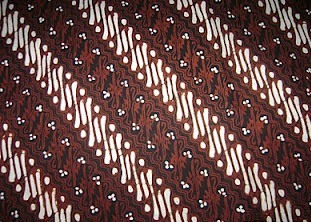 The soldiers used this batik motif after the war to show to The King that they won. curigo means suspicious. But anyway, it is usually used by the women to show their loyalty to their husbands. 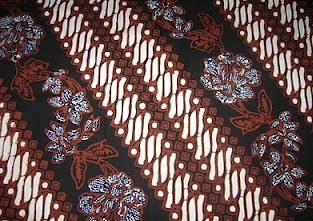 Parang rusak barong is special motif which just only the king and royal family. 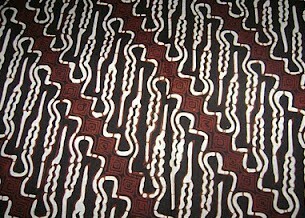 Ordinary people are not allowed to use parang rusak batik motif. 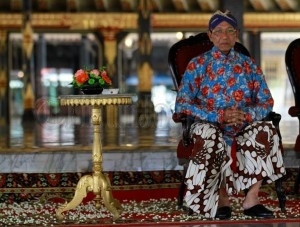 Sri Sultan Hamengkubuwono X, the King of Special District of Yogyakarta is using a parang rusak barong skirt 10th May 2012. Uceng = the mouth of the bird as fire tongue. The leader’s tongue as a fire which can burn a lot of ppl. Badan= body. The leader’s body which must be strong and healthy. Sayap= wing. That means leader must be mobile and active. Intan= diamond and Ombak= wave. That means the leader works as on the wave, but when he does well, he’ll get diamond. B. Parang gendreh, barong size 8 cm. But now a day, the motif is getting very differs and ordinary people as me can use the motif. For me, the motif looks so old… so i prefer another ones :p.
Jessica Alba is using a clothes with parang rusak motif.